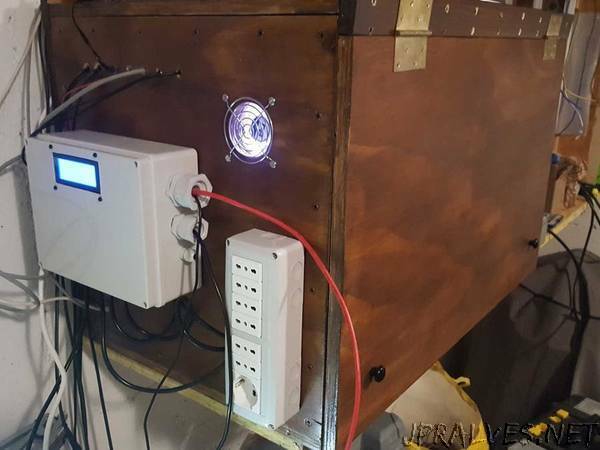 “This GrowBox Controller handles temperature, humidity, fan and lights, and configuration is made via web server. CSV logs and remote cloud! Arduino GrowBox Controller is available on GitHub. I finally shared, with GPL3 license, the firmware I developed in theese years for my GrowBox. On my website, I already shared how I built my GrowBox, the modifications I made in time and plants growing pictures. Thanks to Arduino Mega 2560 Rev.3, this open source firmware offers a small web server for configuration, data transmission to EmonCMS instance and data logging to SD card. CSV log files are downloadable from GrowBox Controller’s web page. Arduino GrowBox Controller uses DHT22 sensors for temperature and humidity reading, inside and ouside the box. DS18B20 are also used for a sample pot and ground temperature monitoring.